Learn how to navigate your way to a small business credit card in a sea of bad credit. A small business credit card is designed to cater to companies who are still starting out in their respective industries. These cards offer flexible payment options and discounts that can prove useful to new businesses. If you're looking into starting a small business and you don't have much of the resources yet, you might want to apply for a small business credit card. It's relatively easy to get one and most business suppliers readily accept payments through small business credit cards. Several advantages of small business credit cards include avoiding mix-up of business and personal transactions, easy itemization of business expenditures, easy management of employee spending, huge discounts and a good start for establishing excellent business credit. Budding entrepreneurs who have bad credit are usually hesitant in applying for a small business credit card and small business loans. They believe that their bad credit history may be disadvantageous on their part. However, there are still a variety of options available if you're one of those small business entrepreneurs with bad credit. You don't have to go somewhere else to apply for your own small business credit card. Consider applying at your existing bank or financial institutions, as it may help you speed up the approval process. Your financial institution already has your financial records on file and they might reconsider your application despite your bad credit. There may be a good number of offers, but it is best to stick with one credit card company while you are trying to rebuild your credit history. Do not hastily sign up for multiple card offers; this will not only make it difficult for you to manage your finances, but will also have a negative impact on your credit score. Despite your bad credit status, the chance of getting a small business credit card is high if you can present pertinent documents that will testify your business' financial stability. You can submit updated income statements and balance sheets together with your application form. Establishing business credit that is separate from one's personal credit is the most logical way for starting entrepreneurs with bad credit. You can start by getting your own business checking account and by paying your business bills on time. Ask your credit card company if they provide financial reports to credit bureaus, and if they don't, you can request them to do so. Most credit card companies are willing to do this at the client's request. 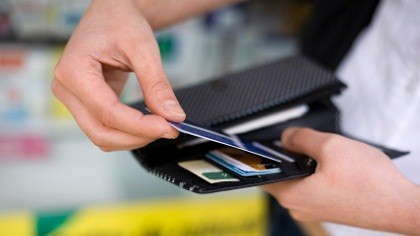 Make it a point to avoid your card's cash advance feature, as this will only incur more costs and fees. The account debt should only be used when your small business needs immediate funds. Paying online for your credit card bills will also help you save on payment processing fees rather than by post or through your local branch.